Quality and reliability at a price you can afford. Need a laser toner cartridge for your HP or Brother laser printer? 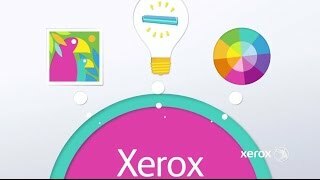 If you purchase a laser printer from another manufacturer (OEM), you can still buy laser printer cartridges from Xerox. We offer a wide range of supplies for printers from HP and Brother, and, because they are from Xerox you'll get the same quality and reliability as the original cartridge , delivering high image quality at a lower cost plus the reassurance of the Xerox brand. Our printer cartridges are engineered with Quality, Performance and Sustainability in mind backed by Xerox’s lifetime guarantee. They are supported the Xerox Cartridge Technology Centre leveraging the best technology and engineers from Xerox’s original cartridge business. As well as saving you money the page yield and performance is equal to the OEM. When you choose a Xerox brand cartridge for your printer there is no risk to your OEM printer warranty. All our cartridges come with the assurance of the Xerox Total Performance Warranty. Thank you. A Xerox representative will contact you soon. Why choose a Xerox Replacement Cartridge?